Members of ABIRA are drawn from academic, NHS and independent sector settings around Norfolk and Cambridgeshire. You can read our staff biographies by clicking on individual team members’ photos. 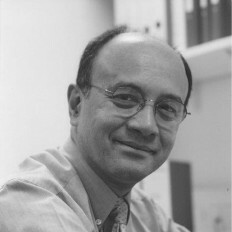 David Krishna Menon is Professor and Head of the Division of Anaesthesia, and Professorial Fellow in Medicine at Queens’ College, Cambridge. He is Principal Investigator at the Wolfson Brain Imaging Centre and at the John van Geest Centre for Brain Repair in Cambridge, and Co-Chairs the Acute Brain Injury Program at the University of Cambridge. He is Chair of the European Brain Trauma Consortium and serves on the Executive of the International Neuro Trauma Society. 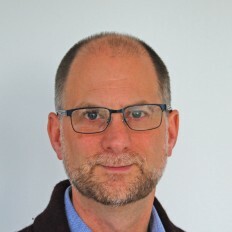 He currently acts as Vice-Coordinator of the CENTER-TBI project, a €30 million FP7 European multicentre study of precision medicine and comparative effectiveness research in traumatic brain injury, and as Joint Director of the Cambridge NIHR Global Health Research Group on Neurotrauma. He has over a three hundred publications in peer reviewed journals, with a ‘h’ index of over 60, has contributed to major textbooks, and is one of two lead authors on a Commissioned Issue of the Lancet Neurology on Traumatic Brain Injury which was released at the European Parliament on the 7th of November 2017, and which has been used as a basis for briefing UK MPs in the All Party Parliamentary Group on Acquired Brain Injury. Following qualification as a physiotherapist at the Cambridge School of Physiotherapy and holding a variety of clinical posts, Professor Pomeroy obtained a PhD from the School of Medicine, University of Southampton. Between 1996 and 2002 she was Senior Lecturer in Stroke Therapy Research at the University of Manchester and was also Director of The Stroke Association's Therapy Research Unit. Between 2002 and 2008 she was Professor of Rehabilitation for Older People at St George’s, University of London. 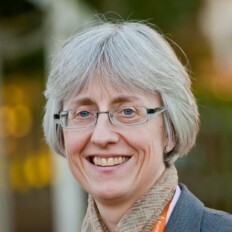 In 2008 Professor Pomeroy took up the Chair of Neurorehabilitation at the UEA. Andrew has worked in research and clinical rehabilitation since 1990, the year he originally qualified as a Physiotherapist (East London). He completed a PhD in Neuropsychology in 1997 at University of Birmingham. He returned to University of East London for post-doc work on a study of exercise in brain injury. He has been leading the Oliver Zangwill Centre for Neuropsychological Rehabilitation since 2002. Interests include outcome research, executive functions, assistive technology, dyspraxia, Rasch Analysis, rowing and brass bands. Also found on twitter @ozcboss & scoop.it! 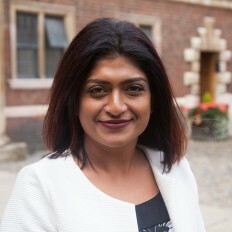 Mita is the programme manager of the Brain Injury Healthcare Technology Co-operative (HTC) based at the University of Cambridge, and supported by the National Institute for Health Research. After graduating in 2001 with BSc Honours in Business Information Systems, she challenged and developed her skills in various industry sectors. 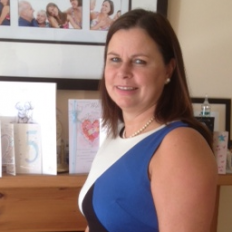 In 2007 she moved in to healthcare to fulfil a personal ambition to influence and shape health and wellbeing services. In this time, Mita has worked internationally with the World Health Organisation; nationally with the Department of Health and private companies; regionally with Strategic Health Authorities; as well as locally with Primary Care Trusts. Mita has enjoyed the challenges of working on key strategic drivers for the NHS including Major Trauma commissioning, and has valued her time as a volunteer wellbeing facilitator for the charity Freemind, based in Essex. In her current role, Mita has the advantage of putting ideas and innovations at the heart of everything she does, something that she would like to see translated in a safe and robust way across the healthcare industry to improve patient outcomes. Liz has an MSc in Physiotherapy and a BSc in Molecular Biology and Genetics. She first worked as a research scientist at the John Innes Centre before re-training and working as a rotational physiotherapist for the Norfolk Community Health and Care NHS Trust. In 2011 she combined her interests and became a Research Therapist working on the clinical trials SWIFT Cast and FAST INdiCATE. In 2016 Liz took up the post of Clinical Movement Analyst at UEA. After completing BSc in Physiology, at the University of Sunderland, Celia obtained an MRes in Bioengineering at Strathclyde University. Between 2006 and 2010 she was appointed as a research associate at Strathclyde University and completed a PhD. In 2010 she was appointed as a Lecturer in Movement Neurophysiology at the University of East Anglia. Charlie holds two undergraduate degrees in psychology/sociology and physiotherapy (first class honours, 1995). Most recently she completed an MPhil in Clinical Neurosciences at the University of Cambridge (2014). The study used neuroimaging techniques to investigate structural and functional connectivity in the motor control system in later-stage traumatic brain injury. In addition to her studies, she has worked clinically for over 17 years in the field of neurorehabilitation in the UK and abroad. She holds a quality improvement fellowship focusing on complexity in community neurorehabilitation. Helen Fairweather has been Chief Exective of Headway Suffolk for 16 years. During that time the charity has grown and now has 2 main neuro rehab hubs, one in Ipswich and the other in Bury St Edmunds. Satilite hubs, which open one day a week, are in Felixstowe and Haverhill. Home care registered with CQC and support in the community are important parts of the charity's work. Headway Suffolk employs clinical therapists, mental and general nurses and has a unique companion dog scheme. Helen has been senior manager in 3 other local charities before taking up post with Headway Suffolk. She is educated to Master Degree level. Louise is an Advanced Specialist Physiotherapist in the Early Supported Discharge Team for Stroke at the Norfolk Community Health and Care NHS Trust. Fergus is a Senior Research Fellow at the University of East Anglia in the Department of Clinical Psychology, seconded from his post as Consultant Clinical Neuropsychologist in Cambridgeshire Community Services (NHS) Trust. He was formerly the Clinical Lead for the Cambridge Centre for Paediatric Neuropsychological Rehabilitation and lead psychologist at the Oliver Zangwill Centre. Clinical and research interests are in neuropsychological rehabilitation, specifically self-regulation, identity, emotional adjustment and psychological therapy following brain injury, and he has published a number of papers and book chapters on these topics. He is Principle Investigator for an NIHR funded study looking at the feasibility of a clinical trial of an Arts for Health approach to improving confidence and well-being post-stroke. Fergus holds a number of honorary positions and is a member of the BPS Division of Neuropsychology’s Policy Unit, the Board of Associate Editors of Neuropsychological Rehabilitation, the Board of Trustees for Headway Cambridgeshire and is a Clinical Associate at the MRC Cognition and Brain Sciences Unit, Cambridge. Michael’s research interest is in neuroplasticity and neurorehabilitation, particularly with respect to acquired brain injury, including both stroke and mild traumatic brain injury (concussion). Michael has expertise in non-invasive electrophysiology, transcranial magnetic stimulation and neuroimaging techniques to study human movement and its rehabilitation. 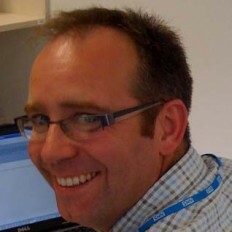 Michael is a project lead in NIHR SRMRC’S acute response to traumatic injury theme, investigating the role of early neuromuscular stimulation in intensive care as a means of accelerating the rehabilitation of major trauma patients. Michael is Co-PI together with Prof Tony Belli for the Repetitive Concussion in Sport (RECOS) Trial being conducted at the Queen Elizabeth Hospital Birmingham. Michael obtained his PhD in Biomedical Science and Engineering from the Centre for Sensory-Motor Interaction, Aalborg University, Denmark. Subsequently he has held research appointments at Aalborg University, University of Jyväskylä, Finland and at the University of Copenhagen, Denmark. From 2010, he was Reader in Motor Neuroscience at the University of Birmingham’s School of Sport and Exercise Sciences where he was research theme lead for Motor Control and Rehabilitation. Michael joined UEA in 2017 and holds the position of Reader in Rehabilitation Neuroscience. Nicola has worked both nationally and regionally to develop stroke rehabilitation services and is currently pursuing an academic career in this field. She is a Lecturer in Physiotherapy at UEA and holds a first class BSc in Physiotherapy and a Postgraduate Certificate in Clinical Education from the UEA. Nicola was awarded her PhD in July 2014. Her recent research has involved investigating reciprocal pedalling exercise after stroke. 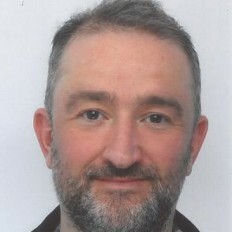 Simon's research interests stem from his background as a speech and language therapist and have focused on therapy interventions for acquired communication impairments, the enactment of multi-disciplinary stroke rehabilitation, and the long-term impact of stroke for stroke survivors and their families. He has employed a range of designs including single case and small group observational studies, ethnographic, and interview / focus group approaches. Professor Peter Jarritt is the deputy director of the brain injury HTC. He is currently undertaking projects with Health Education East of England and The Academy for Healthcare Science. 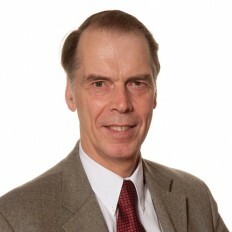 He previously held appointments as: Clinical Director of Medical Physics and Clinical Engineering at Addenbrooke’s Hospital; Lead Scientist for the EoE Strategic Health Authority; Chief Executive, Northern Ireland Regional Medical Physics Agency; Honorary Professor, Queen’s University Belfast; Scientific Director, Northern Ireland PET Institute. Lecturer and Senior Lecturer at the Institute of Nuclear Medicine, UCL. 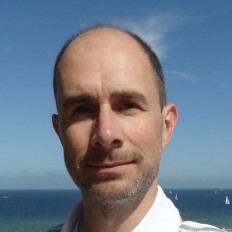 Leif completed his degree in Psychology at the University of Potsdam (Germany) in 1999. 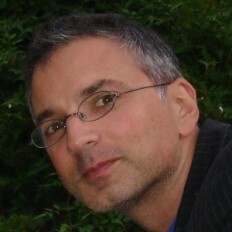 Pursuing his interests in Cognitive Psychology, Neuropsychology and Neurological Rehabilitation, he worked as a neuropsychologist and researcher at the Hertie Institute for Clinical Brain Research, Department of Cognitive Neurology, in Tübingen (Germany), where he completed his PhD in Behavioural Neuroscience in 2005. In the following years, he worked as a post-doctoral research fellow at the University of Birmingham, School of Psychology. He returned to Germany in 2011, where he was appointed to a Senior Researcher/Lecturer position at the Technical University of Munich, Department of Sport and Health Sciences. He held a post at UEA's School of Health Sciences as a Senior Lecturer in Acquired Brain Injury Rehabilitation from 2016 to 2018. Leif’s research concerns both sensorimotor control of body balance during standing and walking, especially in the context of haptic interactions with the environment and other individuals, and interference between cognitive and motor processes in neurological movement disorders such as stroke, Parkinson’s disease and cerebral palsy. Two other research topics he is interested in are the benefits of regular moderate physical activity on cognitive function in older adults and neurological patients and the consequences of repetitive head impacts on sensorimotor and neurocognitive functions in athletes. 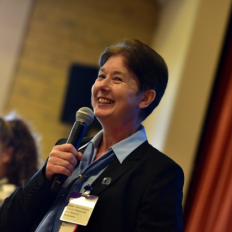 Having qualified as a physiotherapist in 1993, Kath went on to specialise in the management and treatment of people with acquired brain injury, at what is now known as the Specialist Rehabilitation Services (SRS) in Norwich. In 2000 she started work as a Lecturer/Practitioner in Physiotherapy working between the SRS and the University of East Anglia (UEA). 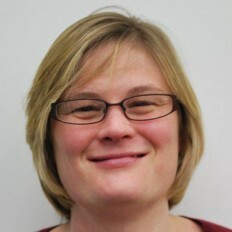 In 2005 Kath successfully gained the post of full time Lecturer in Physiotherapy at UEA. Leadership roles have included Course Director for the BSc in Physiotherapy, Course Director for the MSc in Stroke Recovery and most recently Lead for the NIHR funded MSc in Clinical Research. Kath recently completed her PhD evaluating the feasibility of Functional Strength Training for improving walking and upper limb function in people later after stroke. She has a keen interest in the use of motor learning theories for improving functional recovery after acquired brain injury and is currently seeking post-doctoral funding to develop this research theme further. 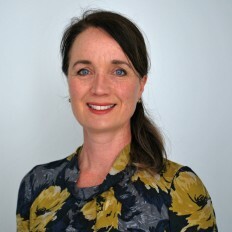 Dr Kate McGlashan MD, FRCP, is a Consultant in Rehabilitation Medicine based at the Colman Centre for Specialist Rehabilitation Services in Norwich and the Clinical Director for Rehabilitation for the East of England Trauma Network. Her main research background is in examining the impact of exercise on functional mobility after stroke. David holds a BSc Hons degree in Sport and Exercise Science which he gained in 2008 from Canterbury Christ Church University. During his time at Canterbury David had the opportunity to become part of the Sports Science Laboratory Team as a Junior Technician where he assisted in several research studies. 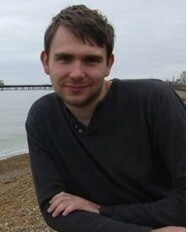 After 2008 he worked for one year in a further education college in Kent and gained a PGCE. Up until August 2015 David worked as the Senior Sport and Exercise Science Technician at a college in west London where he helped to develop a sports science support network for the college’s academy athletes and coaching staff. In September 2015 David joined the UEA to become a Research Technician in Movement & Exercise at the School of Medical and Health Science. 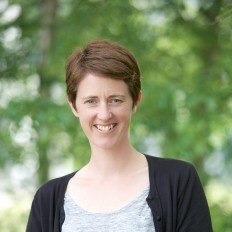 Dr. Stephanie Rossit joined UEA as a Lecturer in Psychology in 2013. She graduated in Psychology from the University of the Algarve (Portugal) and then went on to do a Ph.D. at the University of Glasgow investigating perception and action deficits in stroke patients who suffered from visual neglect. After her Ph.D. she undertook a post-doctoral research position at the Brain and Mind Institute at the Western University (Canada) using functional magnetic resonance imaging to study visuomotor control. Dr. Rossit’s research is focused in studying the role of sensory information for perception and motor control and how these two processes interact. To answer these questions, she carries out behavioural and neuroimaging experiments with both healthy participants and neurological patients. 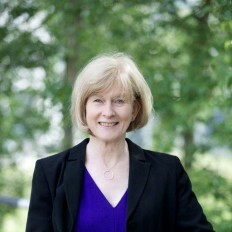 Most of her neuropsychological research is focused on studying the deficits associated with visual neglect (a loss of awareness of the contralesional side of space present in up to 80% of stroke patients) as well in investigating the efficacy of techniques used to rehabilitate this severe neurological condition. 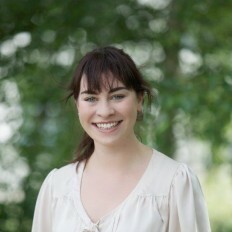 Ciara has a BSc and PhD in Clinical Speech & Language Therapy (Trinity College Dublin). She co-ordinated aphasia groups in Dublin before moving to UEA to begin her PhD in October 2012 under the supervision of Dr Simon Horton and Prof Valerie Pomeroy. Ciara was awarded her PhD in 2017 and holds the post of Academic Fellow in the School of Health Sciences at UEA. Her research focuses on functional communication learning in rehabilitation for people with aphasia post-stroke. I started working in the field of cognitive neuroscience over fifteen years ago following a PhD in medical image analysis. My research aims to decode complex relationships between remote and/or proximal brain regions, which form networks at rest or during goal directed behaviour. This includes work on network adaptive behaviour (reorganisation/plasticity) triggered by abrupt (e.g. trauma, stroke) or gradual structural changes (e.g. neuropsychiatric/neurodegenerative diseases, ageing), or pharmacological agents. Liz Warburton trained at Oxford University and Guys/St Thomas' medical school in London. She was appointed in 1998 as the first stroke physician in Cambridge. Liz’s rehabilitation research interest centres around recovery from aphasic stroke. She was an MRC Training Fellow with Professor Richard Wise at the MRC Cyclotron Unit (Hammersmith Hospital) from 1992-96. 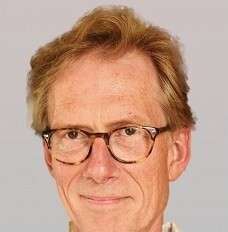 Professor Wise’s group were one of the first to demonstrate mechanisms of neuroplasticity in recovery from aphasia using functional imaging techniques. Liz has an ongoing collaboration with Dr Alex Leff (UCL) with an NIHR i4i grant to investigate whether an iterative ipad delivered therapy can enhance recovery of auditory comprehension following stroke (The ‘Listen-in’ study – main trial phase starting 2016). 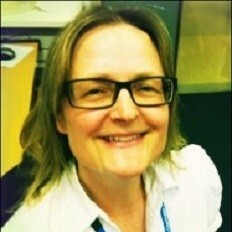 Ingrid is an Advanced Specialist Physiotherapist in Stroke Rehabilitation at Norfolk Community Health and Care NHS Trust. Alison has worked as a Physiotherapist in the NHS for 25 years, in the fields of neurology and rehabilitation, surgical and intensive care and Community Intermediate Care. She completed an MSc in Neuromusculoskeletal Rehabilitation in May 2003 and has been a lecturer at Keele University since 2003. Alison began her NIHR Clinical Academic Fellowship at Keele University under the supervision of Dr Sue Hunter (Keele University) and Prof Valerie Pomeroy in April 2015 and is researching sensory stimulation to the lower limb post-stroke. Fiona has a BSc in Psychology and Cognitive Neuroscience with an MSc in Rehabilitation Psychology from the University of Nottingham. 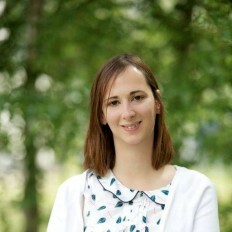 She began her PhD with the University of East Anglia in October 2016 under the supervision of Professor Valerie Pomeroy, Dr Nicola Hancock and Dr Niamh Kennedy. Her research focuses on virtual reality in real world rehabilitation. Alison has a BSc(Hons) in Sport and Exercise Science (2013, UCLan) and a Masters of Research in Exercise Physiology (2016, Edge Hill University). Now at UEA under the supervision of Dr Kath Mares and Professor Antony Arthur, Alison’s PhD area focuses upon the use of aerobic exercise for stroke rehabilitation, with particular interest in maximal exercise testing and the effects upon cognition. Sarah joined UEA in July 2017 to begin her PhD studies under the supervision of Professor Val Pomeroy and Dr Michael Grey. Sarah's research focuses on the development of a mirror therapy intervention applicable to lower limb rehabilitation after stroke.